When the warm summer comes to an end and we change it to a colder and darker autumn I Always get a small cold.. Idon´t like to feel tired but I guess it´s good somehow. Maybe like a restart after the Cold have gone away. 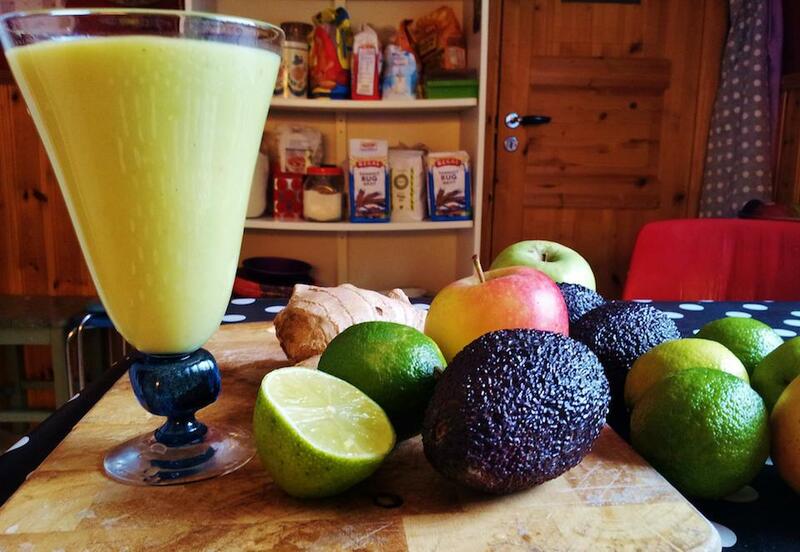 I like to drink this simple smoothie filled with vitamins when I feel like I need new good energy! Ginger (as much as you want! It sounds lovely – I shall try it after my weekend run! Thank you. This has become one of my favorites! I add ice and water up to about 600 ml and sometimes a couple of teaspoons of sugar. It’s really yummy, not at all heavy like you might think with the avocado. It whips up almost to a foam with this amount of water. I wonder if it would make a sorbet in an ice cream maker but I haven’t tried that yet. Thanks!